Uncomplicated beers can offer some of the greatest pleasures. I like simplicity in my beer. Keep the malt and hops at a low roar and you'd be surprised by how enjoyable it can be. Two of my favorite uncomplicated beers fall on either side of the beer fence: one is an ale, and the other a lager. If you explore beers like these, you'll be happy little beer nerds, I promise. Epic Mountain Mild: It appears quite clear when held to the light. There's a nice mahogany color with a bit of an orange tint. When oured, a light beige head forms nicely, which dwindles at an average pace and leaves thin specks of scattered lacing on the glass. The aroma has a touch of tobacco-leaf hop character, while mild chocolate notes and darker roasted malts bring out a mild fruity character with a bit of caramel. The taste is a little nutty at first, then gives way to toffee maltiness and some fruitiness. Ghostly almond/cherry notes, along with a hint of orange peel pop up next. Toward the end, toastier aspects of the malts create a clean charcoal flavor that keeps the ale light and dry. The finish is mostly dry with notes of pine and floral tea, leaving a light feel in your mouth as the carbonation bounces between prickly and creamy. Overall: This is mostly an American interpretation on an English mild ale, but as typically happens when American tastes exert their influence, things become slightly bolder. That doesn't mean you should think of this as a "bold" beer per se; it provides the right amount of taste at a quenching 4 percent ABV, and never tries to be more than the sum of its simple parts. Bohemian 1842 Czech Pilsner: Back in 2009, Bohemian Brewery made a special Pilsner. The ingredients and the Old-World brewing techniques made this Pilsner so unique. Named 1842, it was a faithful reproduction of the original created by Josef Groll in that same year. From floor-malted barley procured from the original genetic line of Hanna barley, down to the long triple decoction brewing process, this beer was designed to be an homage to Old-World craftsmanship. Needless to say, it was a huge hit, and it helped set a new direction for Bohemian's future. The 1842 Czech Pilsner we have today is not that beer. 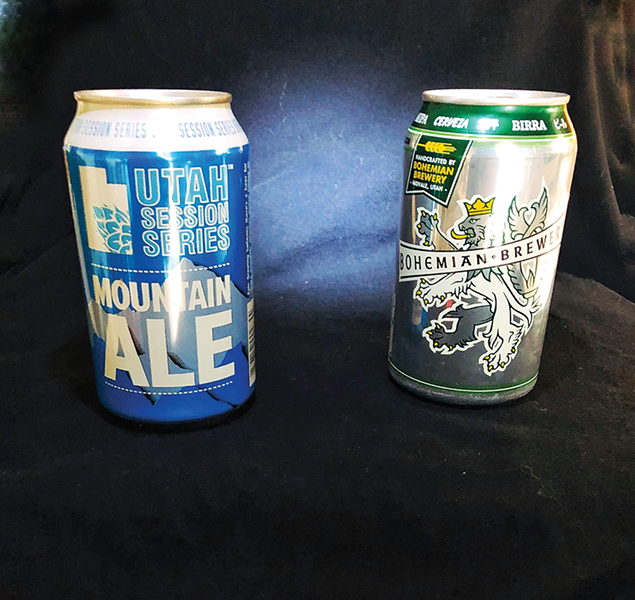 It's too expensive to make on the scale that Bohemian requires, but the taste was replicated with modern malts using modern techniques, and the result happily sits in bars and homes all around Utah. It looks great in the glass; there's a clear straw/gold color, with a touch of orange and very active carbonation. The nose is really nice—the spicy, floral aroma of the Saaz hops pop, and there's a touch of prominent, expressive grainy malt underneath. The flavor starts out sweet with just a touch of toasted bread. The hops are earthy, adding a hint of spice and grass. The beer finishes with sweet malt and slight bitterness, with an absence of any alcohol heat whatsoever in this 4 percent lager. Overall: This is a great example of the style, and I hope it finds its way to becoming more appreciated by the Utah beer community. It's the exact opposite of a big barrel-aged ale. When a brewery nails this style, it feels somehow new and innovative. As you look at the calendar, take note that we're entering the season of complicated beers. And while you begin to immerse yourselves, remember to keep a little simplicity at hand—just in case. As always, cheers!